AUGUSTA, Ga. -- While you're taking in all the action at Augusta National during Masters Week, you too can tee up in the heart of historic Augusta at Forest Hills Golf Club -- a subtle, challenging Donald Ross course with roots dating back to 1926. Forest Hills Golf Club is a subtle, challenging Donald Ross design with roots dating back to 1926. Owned by Georgia Regents University, Forest Hills is home of the men's and women's Jaguar golf teams and has been named "Best Public Course in Augusta" by Augusta Magazine a number of times. With a lot of history backing up its reputation as a solid, good play, Forest Hills was the venue for Bobby Jones' win at the 1930 Southeastern Amateur, a feat that is spelled out on a bronze plaque near the clubhouse. The plaque notes that after winning this event, he proceeded to achieve the Grand Slam but called his victory at Forest Hills, "the best played tournament I ever turned out in my life." Other highlights from Jones and other golf legends who have walked these fairways are celebrated in photos and artwork on clubhouse walls. Phil Mickelson, Dustin Johnson and Davis Love III were among the collegiate players who competed in the prestigious Georgia Regents' (3M Augusta Invitational) tournaments held at Forest Hills. 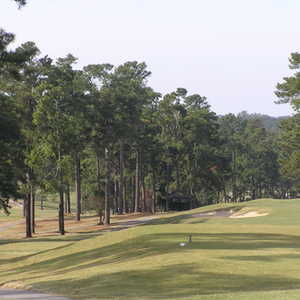 The course is routed up and down Augusta's gently rolling terrain through stands of tall Georgia pines, magnolias, oaks and flowering shrubs. 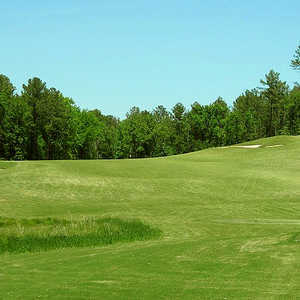 Although the course was altered in 1984 by the Arnold Palmer Company to make room for an Augusta University Athletic facility, it was later (2004) in large part restored to its original design, including 13 of Ross's original holes and greens. Fairways tend to be generous, but there are some tricky dog legs such as no. 12 where accomplished players will want to draw their drives around the trees on the left avoiding the pond on the right to hit the fairway that runs up to the elevated green. There are also some sloping fairways that can catch you unaware, such as no. 3, where the landing area falls off to the right big time, and the par-3 16th over water, where a shot to the bank at the back will likely bring your ball back down into the green. While several greens evoke Ross designs with roll-up approaches and false fronts, others are elevated and protected by large, deep bunkers. The variety of green sizes and shapes (one is small and pear-shaped, another long and shallow) along with a lot of movement in the putting surface add to the fun and enjoyment of playing this course. Sarah Mooney, head professional and a graduate of Augusta State, and Dan Elliott, general manager, keep everything running smoothly, rolling out the welcome mat to guests, members and families. With five tee boxes, three rated for women, it's friendly to all levels of players. On site is a grill, pro shop, driving range and practice facility. Forest Hills is in excellent shape, and in the spring, when the grasses green up and the flowering trees burst into bloom, it's a joy to play. Other Augusta-area options include the River Club in North Augusta designed by Jim Fazio (ask about staying in the cottages), and Goshen Plantation playing 7,423 yards from the tips on Bermuda grass. 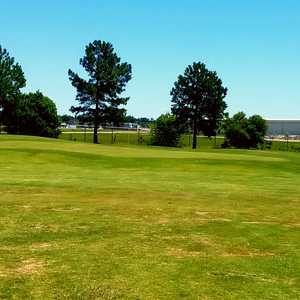 In nearby Evans, Bartram Trail Golf Club is a pretty, rolling track featuring Ultra Dwarf Bermuda grass and five par 5s and five par 3s. Champions Retreat, also in Evans, gives you three different nines running along the Savannah River, the Nicklaus Bluff, Palmer Island and Player Creek. Normally private, Champions Retreat will be available for public play during Masters Week. Click here for more information. Augusta has several hotels and chain properties, but the most traditional place in town is the 143-room historic Partridge Inn, a member of the Curio Collection by Hilton featuring a long, open veranda, roof-top lounge and newly minted smart/sophisticated decor. Explore the brick-paved Augusta Riverwalk running along the Savannah River with its gardens, museums and marketplace, and visit the new exhibit in the Augusta Museum of History: "Celebrating a Grand Tradition: The Sport of Golf." Also stop by the Augusta Canal Interpretive Center, and as the sun sets, have a cocktail on the long porch at the Partridge Inn overlooking the entire city. We were here for the Masters and saw the reviews for this golf course. I was completely disappointed that the reviews didn't match the conditions that were portrayed. The course was in very rough conditions, greens were horrible, fairways had very little grass. The green fees were way over priced for this course. I would not play this course again.